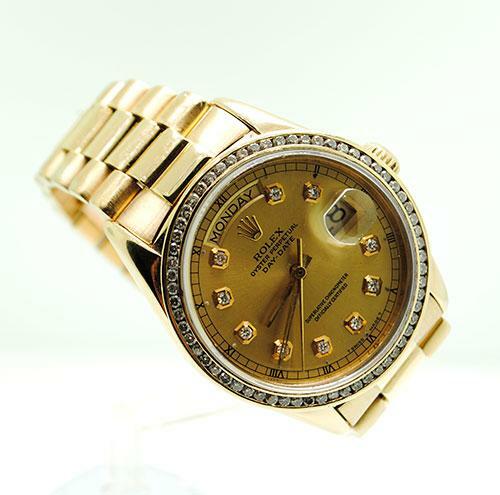 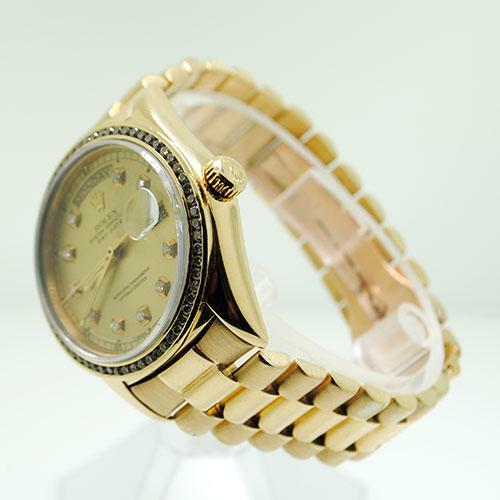 Gents 18k yellow gold Rolex Day-Date Presidential with diamond ial and bezel. 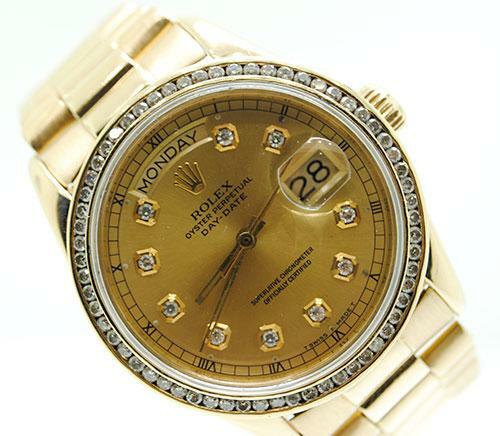 Oyster Perpetual movement, 36mm, champagne dial with diamond hour markers and Roman numerals. 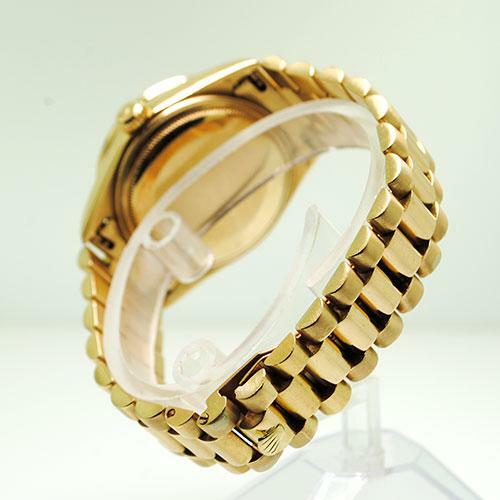 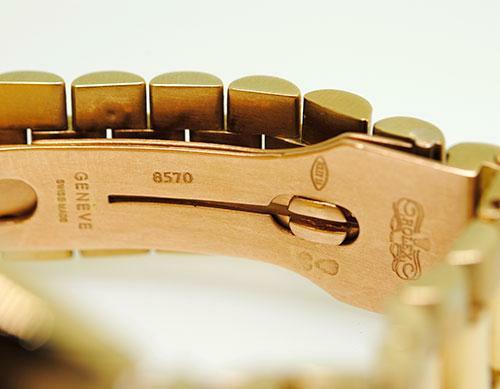 Diamond bezel, 18k yellow gold Presidential bracelet with hidden deployment clasp. 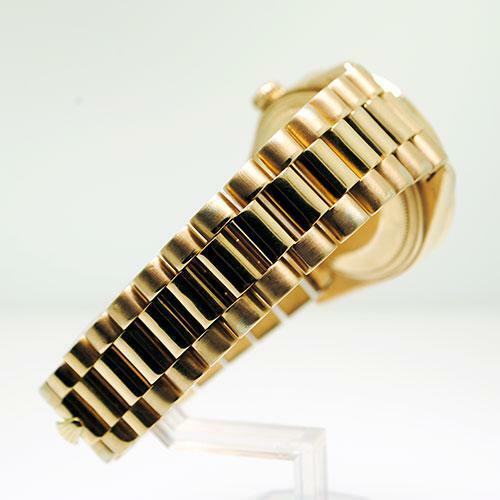 6.5 inch wrist.